Photography is an expensive endeavor, and there's no way that there's fun, exciting gifts for photographers under $50. I found a TON of photography gifts that meet the $50 requirement and are the kind of gifts you'd be proud to give the photographer on your holiday list this year. The great thing about the ALTA Action 80 Tripod Bag is that it’s an ideal gift for a photographer that’s already bought into the Vanguard system of tripods. This bag is designed to fit Vanguard’s highly-regarded ALTA Pro tripod and head combinations and offers photographers easy access with an extra wide top opening. The interior of the bag is both padded and brightly colored, so the tripod is both secure and easy to see. The ALTA Action 80 can be carried over the shoulder or as a two-way sling across the chest. It’s got a bottom grip for easy maneuvering when loading and unloading from the car as well. Combined with a waterproof material on the bottom to keep the inside dry, and the ALTA LINK connector that allows for adding the bag to other ALTA backpacks, and you have the makings of a versatile, useful, and affordable gift this holiday season! Learn more about the Vanguard ALTA Action 80 Tripod Bag. I think it’s safe to say that you’ve probably got someone on your holiday shopping list that is a fan of photography. I think it’s even more likely that you need to buy a gift for someone that uses their phone to take photos. Now you have the perfect gift for one such person with a Bumblejax Acrylic Photo Block. 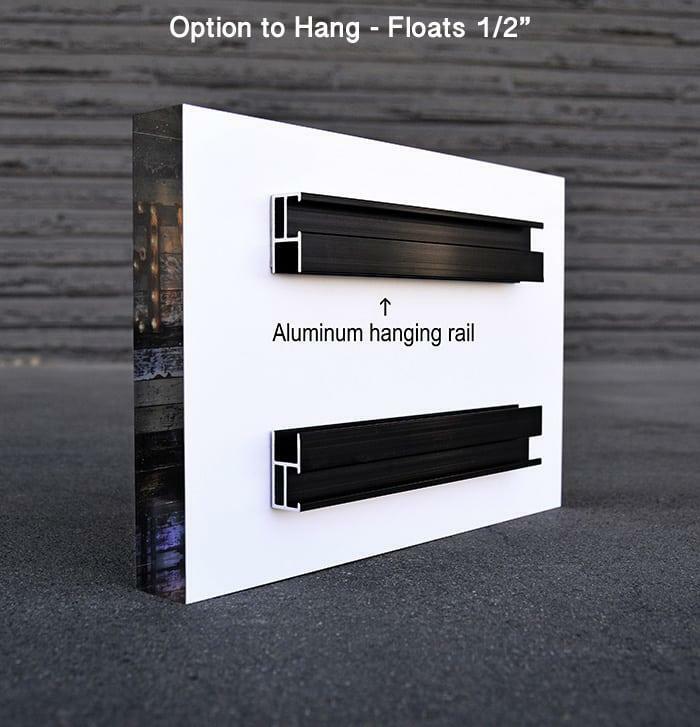 These one-inch-thick blocks are ideal for creating artwork that can either stand on its own or hang on the wall using aluminum hanging rails, as seen below. And with a diamond-polished finish that gives the printed image a vibrant, colorful, three-dimensional look, it’s a gift that’s sure to wow. That’s because the see-through acrylic edges allow more light to refract within the acrylic, creating more illumination on the image for a truly stunning visual effect. What’s more, Bumblejax face-mounts the image onto the acrylic, using high-grade lustre or metallic paper that offers a superior result with a wider color gamut than other types of printing. And Bumblejax can even create these stunning acrylic photo blocks using pictures taken with an iPhone. 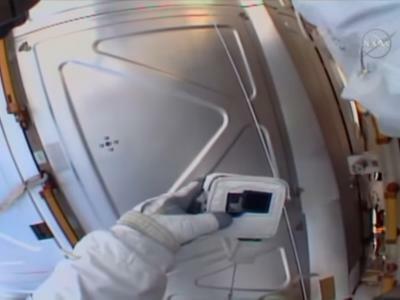 Specifically, their panoramic acrylic photo block (shown in the video above) is the perfect way to display images captured with the iPhone’s panoramic feature. That means that once you give your loved one the gift of a photo block, they can hop on their phone, upload their favorite image, and get an awesome gift (or you can do it ahead of time - either way!). With 7x7 and 8x6 blocks starting at under $50 with the coupon code PTBJAX20, these are a great buy. No wonder Bumblejax has over 2,000 rave reviews! Learn more about the Bumblejax Acrylic Photo Blocks. A wonderful gift for the holidays that has a ton of visual appeal but won’t set you back a lot of money is the Evelyn Floral Crown pictured above. These crowns are the perfect complement to any wardrobe, whether your loved one is getting married, having her photo made, hosting a party, or just about any other special occasion. The crown has a gorgeous rose perfectly placed on the crown and is surrounded by intricate florals that are beautifully arranged on a grapevine. The crown pictured above is in ivory with pink accents, but the crown can be ordered in a wide variety of other colors, including yellow, lavender, pink, red, aqua, coral, and many more. The types of flowers that are used might vary slightly depending on their seasonal availability, but you can rest assured that no matter what types of flowers that are used, the Evelyn Floral Crown will be something that makes her heart sing this holiday season! Learn more about the Sew Trendy Evelyn Floral Crown. Don’t settle for the same old toys this year. For a unique, memorable, and educational gift idea, you might consider the Vixen Nature Eye Telescope from MrStarGuy. The compact, lightweight design of the Vixen Nature Eye means it can be easily transported and taken on outdoor adventures without having mom or dad lug around a ton of heavy gear. But don’t confuse its compact, lightweight design for something shabby - the Nature Eye is durable and built to stand the test of time. It’s easy to setup, too. The telescope images are right side up for easy viewing. The tabletop tripod is both sturdy and sets up in a matter of seconds. 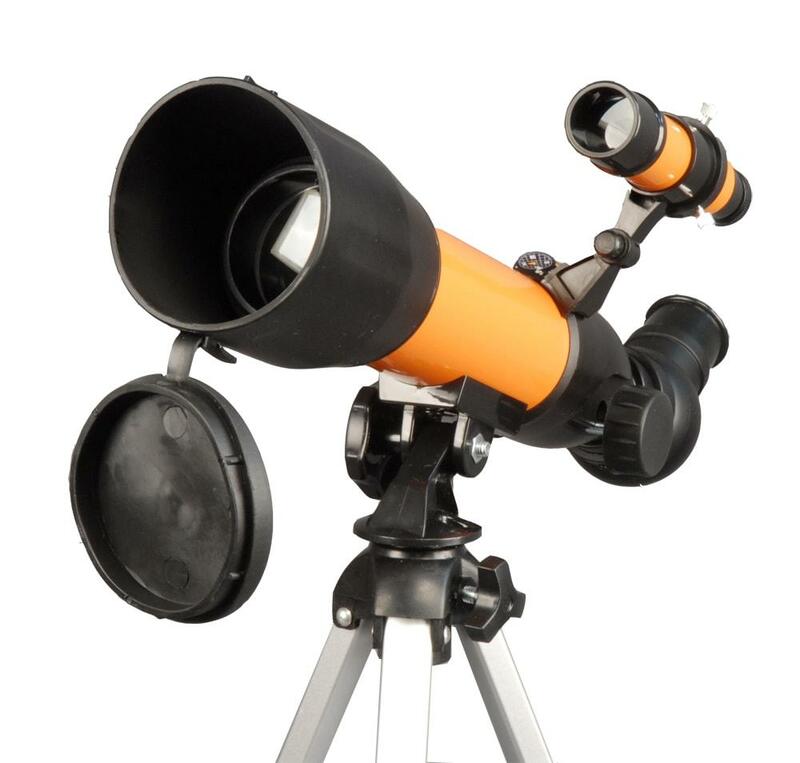 This little telescope comes with all the needed accessories, too - the aforementioned tripod, a 10mm eyepiece, a 2x Barlow Lens, a peep sight for finding objects, and a 45-degree Click Stop Diagonal that keeps objects in view. All that for just $39.95! 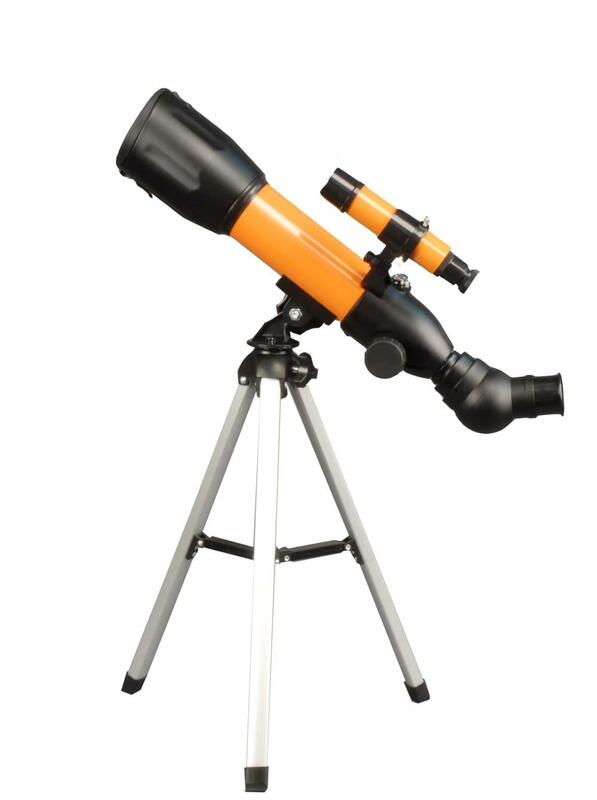 Learn more about the MrStarGuy Vixen Nature Eye Telescope. An 8x10 canvas print is just the right size for showcasing a photo and giving it as a gift for the holidays. Whether you print a family portrait, a landscape, or something in between, Canvas is a gorgeous medium that brings your images to life while giving them a bit of texture for a more interesting viewing experience. The CanvasHQ 8x10 print comes in a 1.5-inch thickness, meaning it will display beautifully on your loved one’s wall with a bit of depth that separates the image from the surrounding wall surface. Something else that makes a canvas of this size stand out is vibrant, beautiful colors. Since CanvasHQ uses six colors and an optimizer, you can be sure that the colors in the image stay true to form and display as they should on the canvas surface. 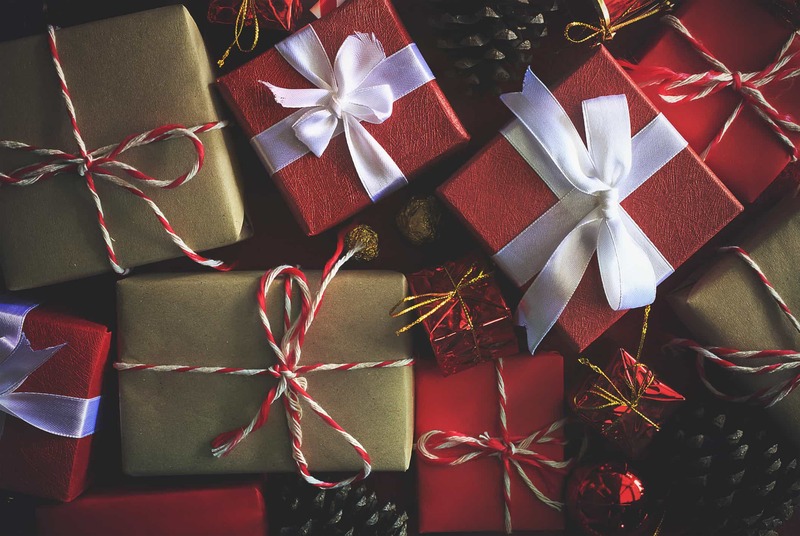 Why get your loved one just another gift this year? Give them the gift of a beautiful piece of art that’s personalized and custom! Learn more about CanvasHQ 8x10 Prints. Give the gift of form and function this holiday season with a LAZO wrist strap from 4V Design. As you can see in the image above, this thing is gorgeously designed and handcrafted with accents made of scented Vegetable Tanned Tuscany Leather with hand-painted edges. That means it's a gift that has a custom look but without breaking the bank! But it's not just a pretty accessory - it's functional, too. It's got a camera connection made of high-strength polyamide military-standard webbing and can be tightened on the wrist for maximum safety. The LAZO has an adjustable length to accommodate all sizes of wrists and a soft cotton 20mm webbing for a comfortable carrying experience. 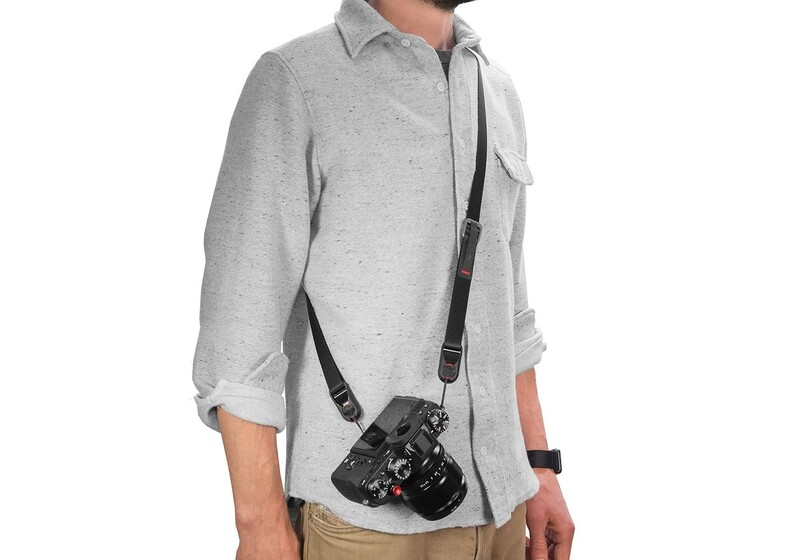 Ideal for carrying everything from a small mirrorless camera to a medium format rig, the LAZO hand strap is certainly one of the best photography gifts under $50! Learn more about the 4V Design LAZO Hand Strap. One of the best gifts I ever got was the gift of mobility and versatility I get each time I use my Handlepod. Not only is Handlepod small enough to fit in my pocket, but it allows to me to work fast and light, without having to lug my full-size tripod around. As you can see in the image above, this thing is incredibly easy to use - just extend the base, wrap the cord around a sturdy object, and it's ready for your camera. It will also sit on a flat surface and act like a tabletop tripod, or you can press the handle against a solid surface for added stability. 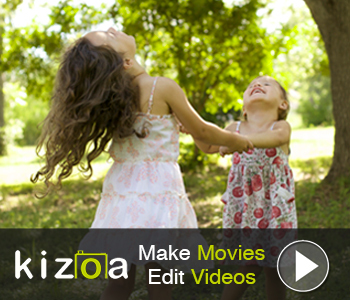 If you're in a situation in which you need to handhold your camera, just fold the handle out for improved stability for stills and video. In other words, if you want to give your favorite photographer a gift that gives them incredible versatility and helps improve the quality of their images, look no further than HandlePod! If you've ever heard a photographer complain about how hard it is to find the zoom and focus collars on their camera's lens, you can help them solve that problem this Christmas by giving them band.it. 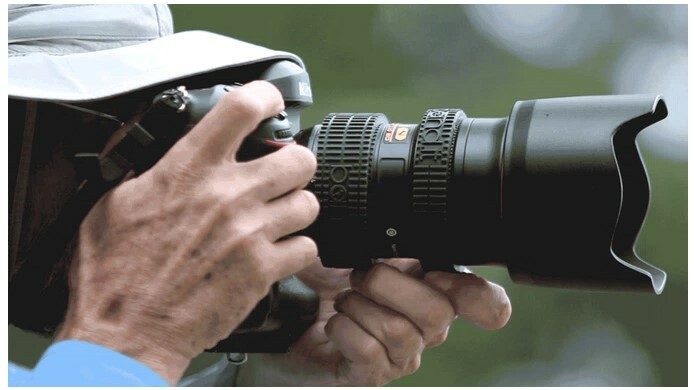 This awesome gadget is a soft, ridged elastomer band that stretches over any interchangeable camera lens. The band gives photographers a touch-based guide so they know exactly where the focus and zoom rings are as they frame up a shot. 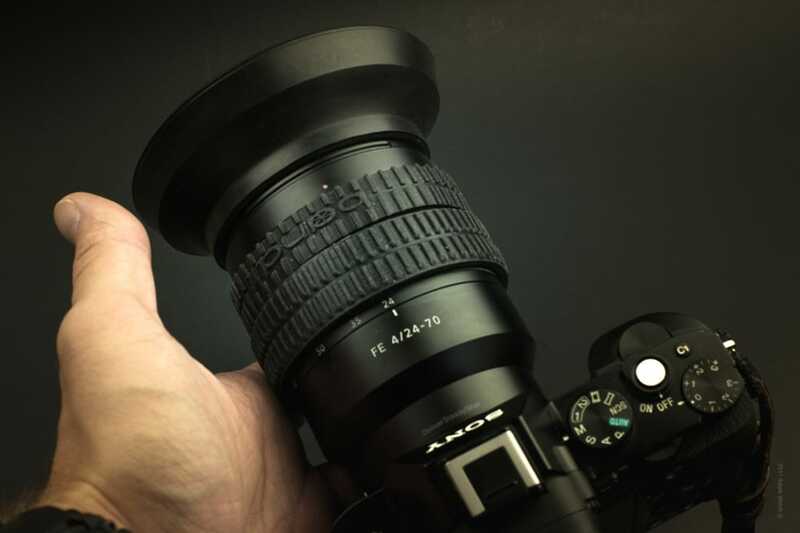 On top of that, band.it has extruded ridges that offer improved grip on the lens while also allowing for more precise adjustments to zoom and focus. Additionally, band.it eliminates lens creep when the lens is pointed up or down. As if that's not good enough, band.it helps protect the zoom and focus rings on a lens. And since those can cost hundreds of dollars to repair, using band.it to protect them is a sound investment. 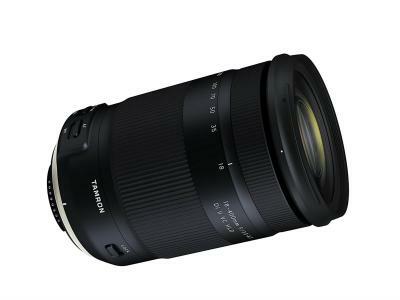 So, this holiday season, give the gift of improved functionality and protection for your favorite photographer's lens. Give the gift of band.it for zoom and focus rings for less than $50! For a gift that wows when it's opened, give the gift of an HD Metal Print this holiday season from Artbeat Studios. A 9x12 print is a perfect size for hanging on the wall when there isn't a ton of space, but a high-impact print is wanted. And you don't get much more high impact than HD Metal! These prints have breathtaking color because Artbeat Studios takes care to color check the images on color calibrated monitors. These prints are also heat infused into a specially coated aluminum sheet for incredible durability. 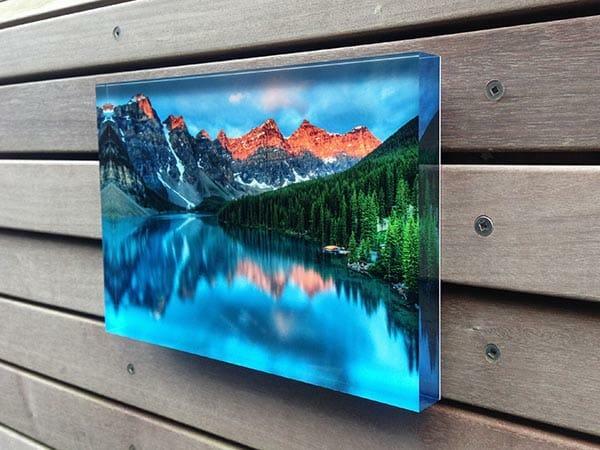 In fact, these HD Metal Prints are resistant to UV rays, scratches, and water. 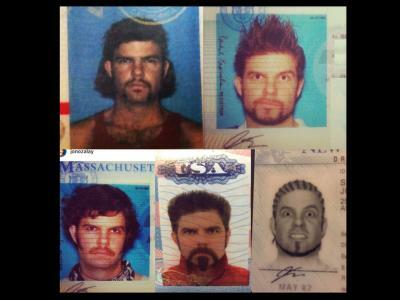 You can even customize the look of the print by choosing different surfaces, finishes, mounting styles, and so on. In other words, this is one heck of a gift for less than $50! Learn more about Artbeat Studios 9x12 HD Metal Prints. One thing that any photographer will appreciate for Christmas is a better camera strap. 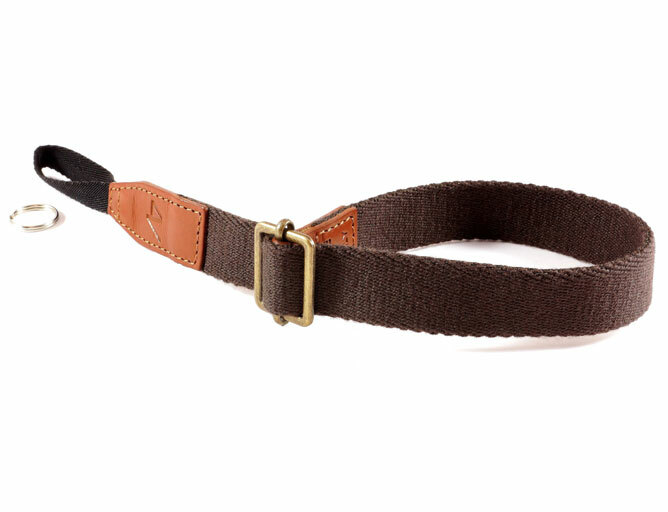 And when it comes to cutting-edge straps, it's hard to beat those put out by Peak Design. Their Leash strap is ultra-portable, with configurations that allow it to be used as a sling, a neck strap, a safety tether, and more. Its length is easily adjusted with dual aluminum and Hypalon quick-adjusters - even with just one finger! 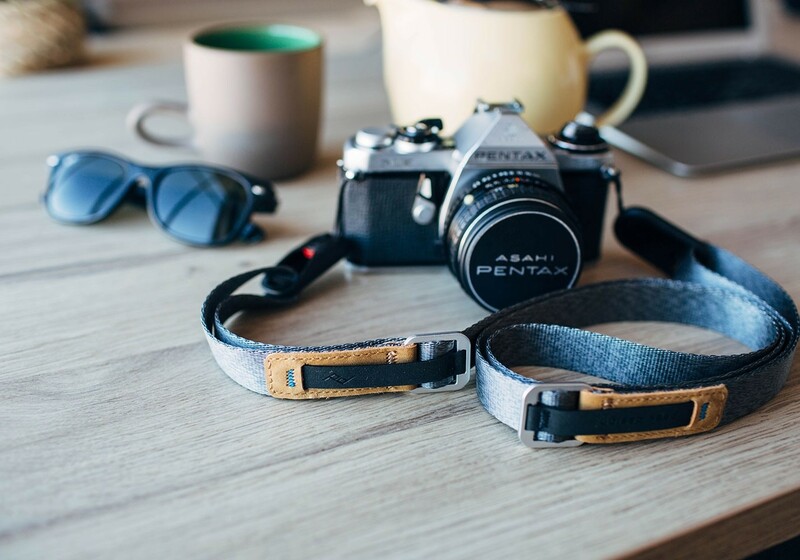 The Peak Design Leash is also quick-connecting, so your favorite photographer won't have to worry about missing a shot because they're trying to get their camera strap squared away. It can be disconnected just as easily, too, using Peak Design's Anchor Link System. Once it's detached, it can be stored easily in a camera bag or even in the photographer's pocket. In other words, this strap is well-designed, highly functional, and at way less than $50, it's also a bargain! Learn more about the Peak Design Leash.